Beat in eggs and half the milk. Beat until all lumps are gone. Add the rest of the milk, add butter and beat again. Lift the edges of the crepe and flip the crepe (I find this easiest to do with my fingers, as the crepe is so thin) Cook just 30 sec or so on the second side. 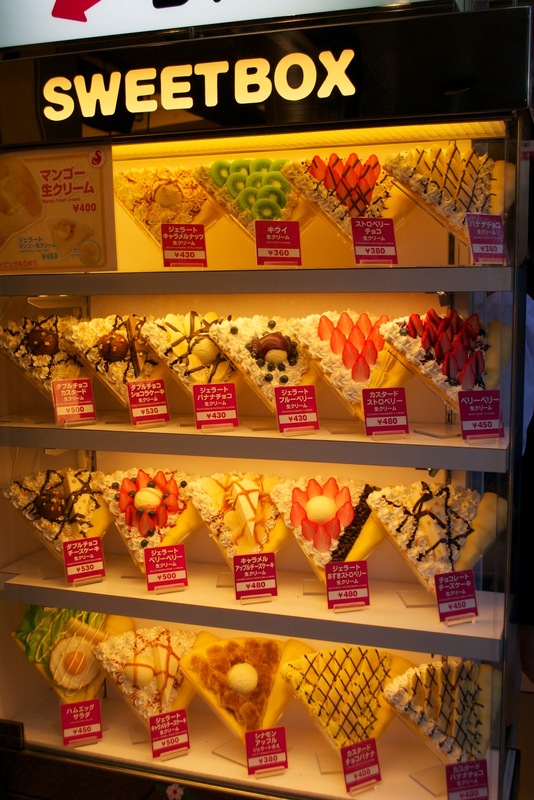 Fill the Crepes however you like. 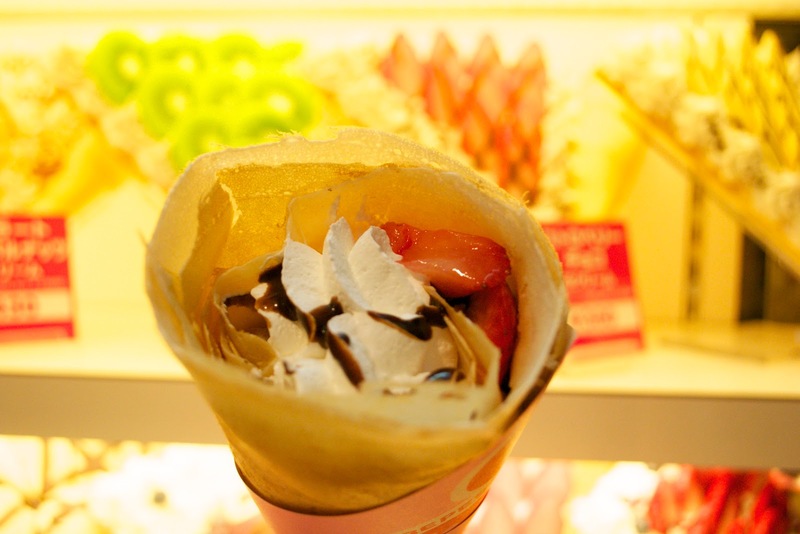 Place fillings on just one quarter of the crepe. Do not go past the centre-point or it will be difficult to fold. If adding ice-cream, use just a tiny scoop (unless you have a very large frypan or crepe maker like the shops use) Other things you could put inside are: creme caramel, brownie, cheesecake. 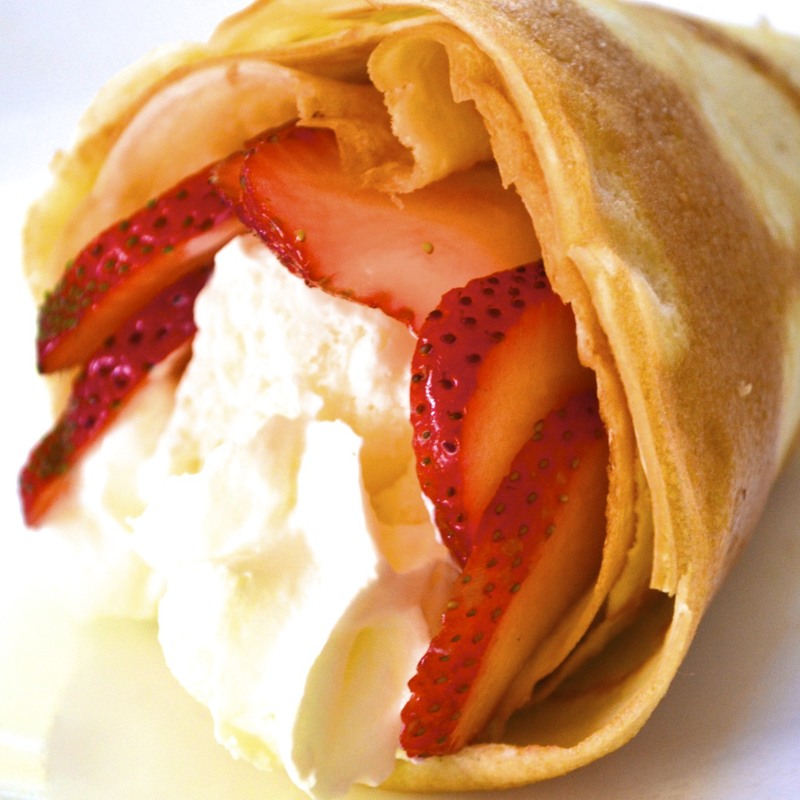 Fold the crepe in half, with the centre of the filling on the fold line. Next, roll the crepe, starting from the filled part, pivoting on the centre point until you have created a cone. 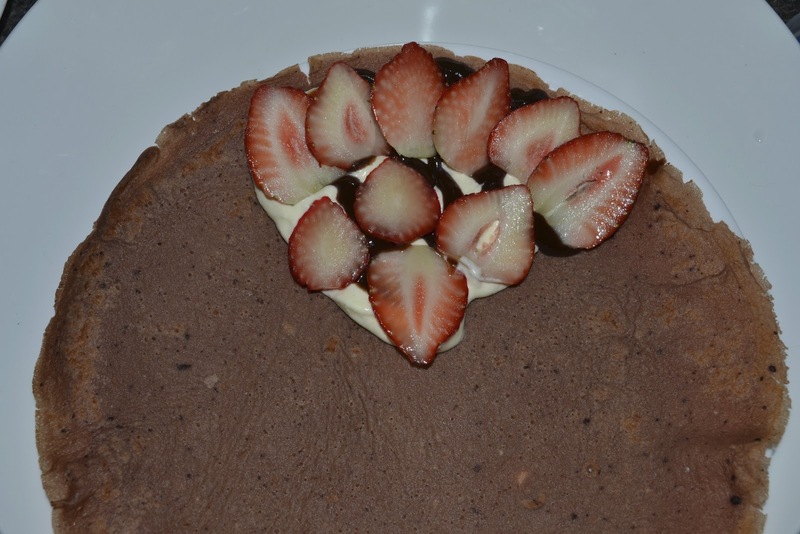 To make Chocolate Crepes, just add 3 Tbsp sifted pure cocoa to this recipe. Savoury Crepes make a nice lunch. See photos below for ideas. 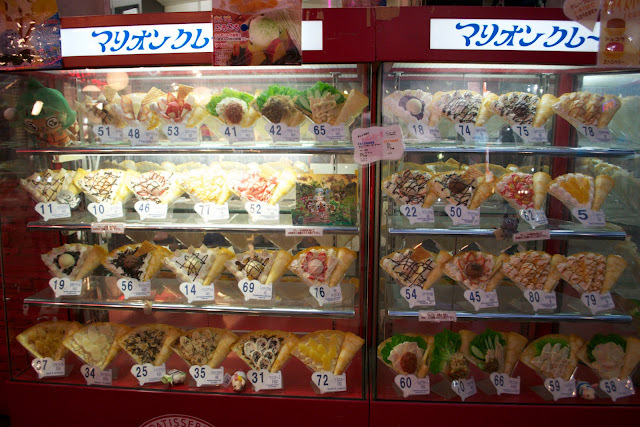 My recipe above isn't really how they make them in the Japanese Street Crepe Shops, because they have proper equipment. This recipe is just so you and I can make them at home when all we have is a frypan! To make them crispier, flip again (back to the first side) and cook on medium heat for another minute. This also works well with day-old crepes that you kept in the fridge. 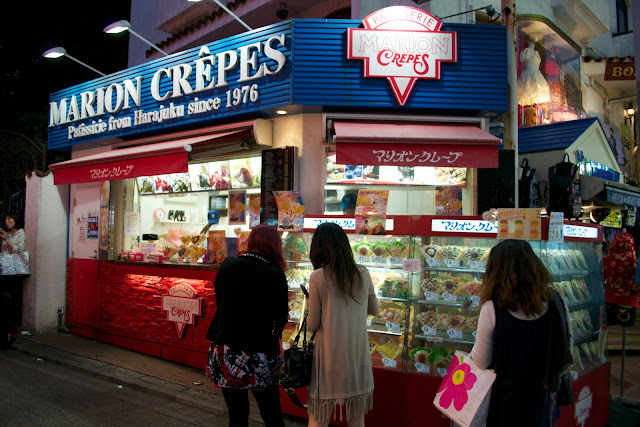 Update (June 2012) Marion Crepes are way better than Sweetbox! 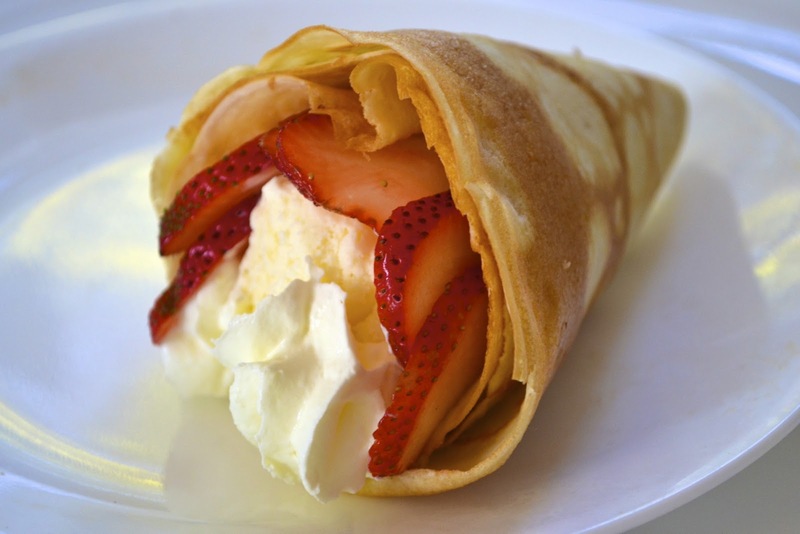 From Marion Crepes I had a Strawberries, cream and cheesecake crepe! It was amazing! Sorry I didn't take a photo! (My little Ochibi couldn't wait to eat it, nor could I!) It's #48 in the photo menu, 6th photo down. 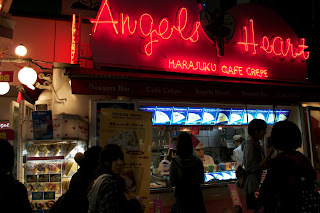 These photos I took when I went shopping in Harajuku last week. It looks fantastic! But how many of those crepe skins does it make every batter? Nikki that's awesome☆ Next time I go to Harajuku I'll try Marion Crepes! Nikki! I tried them! Marion Crepes are definitely the BEST!! This is amazing! I am so happy that I decided to search Japanese Street Crepes Recipe! I cannot wait to try these out! And I plan to be buying some of your bentou and and the accessories! It's really hard to find such items here. And at such fantastic prices!!! I look forward to seeing more recipes! Good Luck and Happy Cooking! 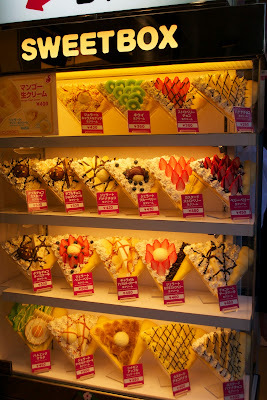 Hi I came across your blog while trying to make Japanese crepes. I made tuna mayo crepes for lunch today. It definitely takes practice. My first two were awful, the third pretty bad and finally the fourth was ok. Thanks for the info! A really simple one is while the crepe is still on the pan, put shredded cheese (we buy ours from the market) and let it melt onto the crepe. Fold it up, and it tastes so delicious! che sballo le crepes da asporto!!! ottima ricetta con fragole e panna ! Hi, would you please comment only in English or Japanese, thanks! I've tried this recipe. I'm from Europe and I can tell you that this is not what crepe tastes like at all! The chocolate ones are nice but whithout cocoa powder it tastes too eggy. Never use more than 1 egg for crepes! The above given recipe is really very nice. It is easy and tastes good. Thanks for such a great recipe. I really want to make these, but what is SR flour?? Can I use all-purpose flour instead of SR flour? Sure, if you use all-purpose flour, sift in 1tsp baking powder together with the flour. Can you use Plain Flour instead of SR Flour? Hi, how long can a batch of pre-mix batter last if I do not want to pre-cook all crepes at one time? Thanks! That looks very very very yummy !! Thanks, I'm glad to work with all of them. Hello, recipe looks delicious; however, are you using Japanese cup (200 mL) or American cup (236.588 mL) measurements? hello! I am portuguese, and i have a ice cream shop. 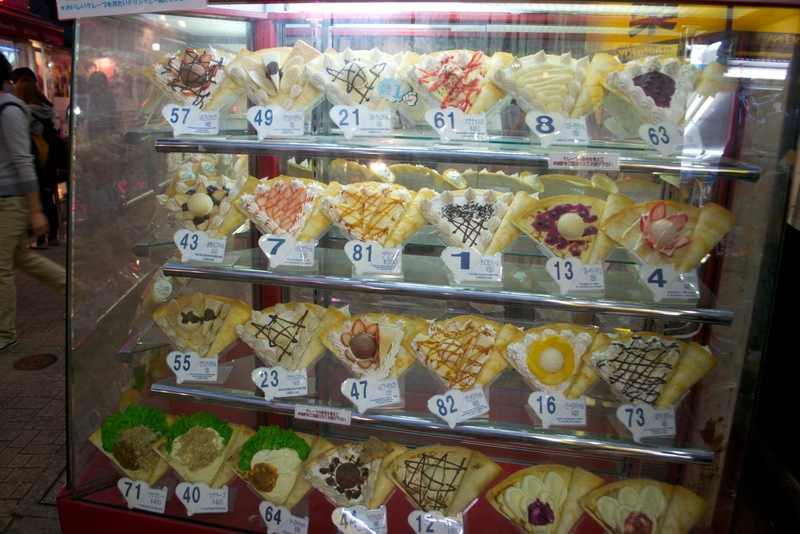 can you help me please, with the menu "sweet box". do you now someone that do it? thank you!